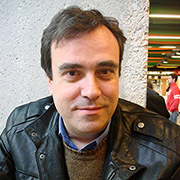 1992 Architect graduated in University of Seville. 2016 He studies Fine Art photography in Art School of Seville. His attention to photography started in 2013. Most of his work is produced in Seville (Spain), city where he lives. 2016 Finalist in contest of contemporary fine art “Ciudad de Utrera”. 2015 Winner of portraits international contest by “Quesabesde” review. 2015 Collective exhibition at Valentín Madariaga Foundation, Seville. 2015 Exhibition at NAVE 73 gallery, Madrid. 2014 Collective exhibition at visitors reception building in Delicias Shore, Seville.